Even though you can send commands to the Comet64 to change its configuration, sometimes you just need to quickly view or change the settings. Here's how to use the Wiz Config Tool (a PC-based utility) and set the default settings for the Comet64. 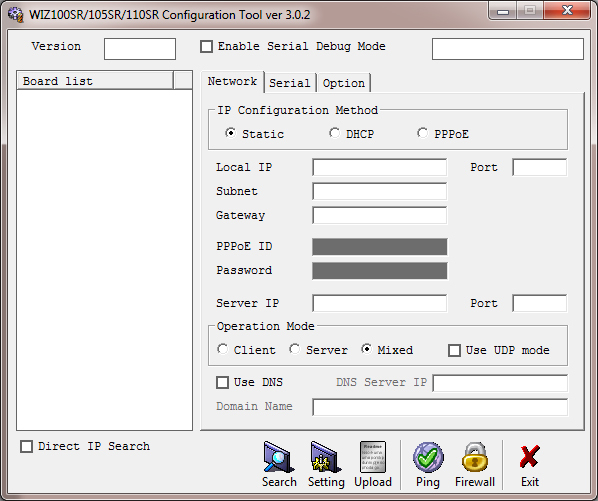 The Wiz Config Utility is a PC-based application, provided by the manufacturer of the Wiznet module that is used on the Comet64 Internet Modem. 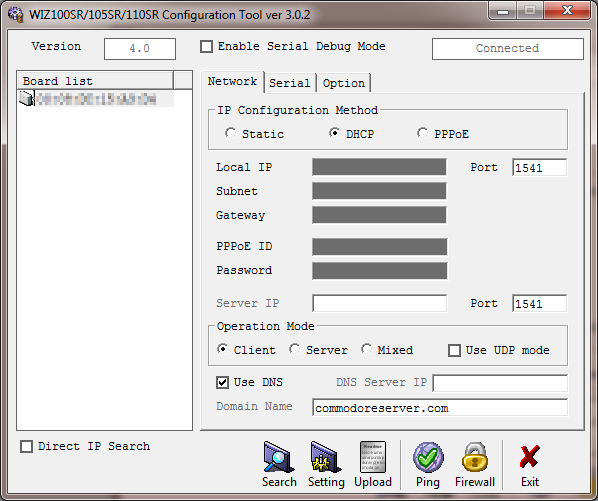 It runs in Windows and provides a way to quickly view or change the settings on the Comet64. The utility must be run from a PC that is on the same network as the Comet64 for it to be discovered properly. Make sure your Comet64 is powered-on and plugged-in to your network. Also, make sure it is on the same network segment as your PC (same router/LAN). Now click the Search button. The Wiz Config Tool should have found your Comet64 and will display its MAC address in the upper-leftmost part of the window. Please note: There is a version of V-1541 that uses a different baud rate. Even though the 2400 baud is the default, you might wish to set the Speed to 38400 and the Flow to CTS/RTS instead of the settings shown below. After you have made changes to the settings, click on the "Setting" button and your changes will be sent directly to the Comet64. The changes will be effective immediately without power-cycling your Comet64. If your Comet64's settings ever change (for instance, if you are using a terminal program for connecting to BBS servers), it can be easily restored using the PC application as an option for changing the settings back. You can also use the V-1541CFG file on your V-1541 disk, but that does not set every single setting. Using the Wiz Config Tool can assist in adjusting the settings where V-1541CFG does not. Sounds like I should mod my CFG utility for 64 to be like a CLI prompt to accept commands and procezs em. I'll write that this afternoon. I am working on a command line interface config that will allow you to enter command strings to configure the Comet64 from the C-64. I have discovered that sending a string from the C-64 in lowercase characters is actually uppercase to the WIZNET board... and the result is not good. DNS cannot resolve the domain name in uppercase! So, I have to work on a routine to switch case somehow and send the proper value to the WIZNET board, in this case, UPPERCASE (PETSCII) is LOWERCASE ASCII and visa versa I believe. Useful information, I have a question though. 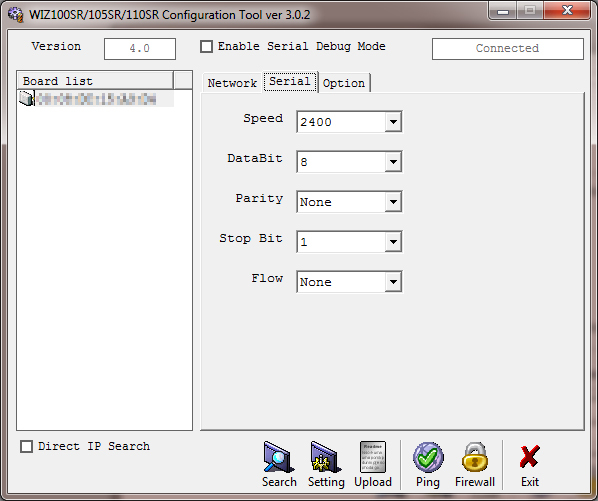 Why would my modem show as not connected in the upper right hand of Wiz Config Tool? It's on, plugged into a verified ethernet cable, and detects on my network. 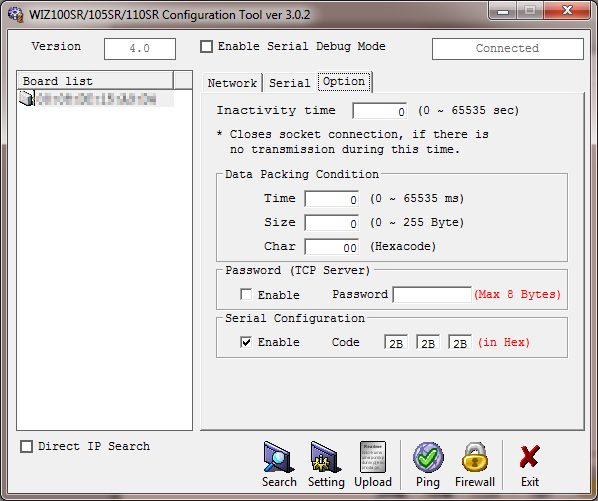 It should be noted that if the Comet Modem is not found when searched, it is because of corrupted settings. In order to gain access to the Comet Modem, power cycle the C-64 and immediately hit search 1 to 3 times (the reason is that the Comet Modem is in a state that only allows it to be discovered just for a few seconds after power on). If still not found, power cycle the C-64 and hit search again a few times. Once it is discoverable, change the settings and hit "settings" to save. 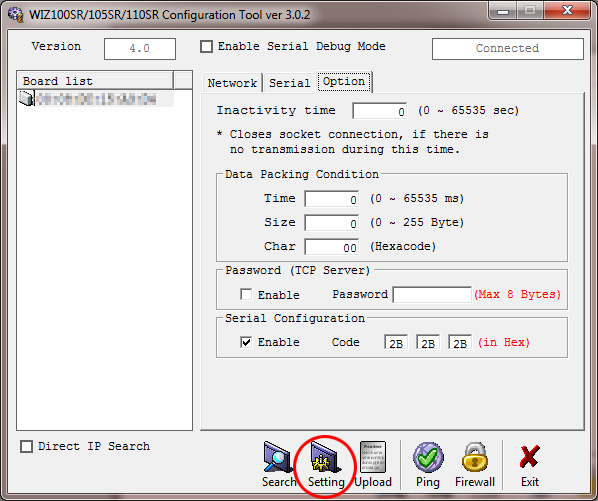 You may find that the Comet Modem is again not discoverable and hence the settings cannot be saved. In this case, power cycle the C-64 and immediately hit "settings" and it should save it and work. Credit goes to AgentFriday for this information. Thanks to AgentFriday for his help in helping me fix my Comet Modem!